Household debt in Canada, USA, and England, has stopped spiralling out of control, but remains high. Governments continue to try to talk it down, but still want consumers to spend to grow the economy. The long term solution to control household debt is for individuals to accept our responsibilities and stop acting like victims. Though they coerced many people, banks didn't force us to borrow. We need to learn to be patient, humble, to live on our incomes, to save to buy stuff, and to stop chasing unaffordable standards of living. As well, we need to love each other as Jesus commanded and ask Him to show us how to respond to genuine crises in the lives of fellow believers. But most of all, we need to invest time getting to know Jesus, and learning to live as His disciples. He will help us live lives that glorify Him. He will help us understand that challenges we face do not surprize Him. He will help us respond as Job did (Job 1:20-22, Job 13:15, Job 42:5). He will help us live "upside down" (Romans 12:2) in this world where the focus is on "me" and "my circumstances." Each Messiah follower needs to "believe with his pocket book" Jesus owns everything and has promised to take care of his or her needs. To be sure, household debt is pervasive, but we who have hope in Jesus know nothing is impossible for Him (Mark 9:23). That's right; nobody's circumstance is too big for Him. So, let's start today to believe Jesus and be ready to accept our circumstances, especially the effects of poor judgement. If you are His child, Jesus might not remove your financial debt in your timeframe, but, be assured, He will remove the financial burden today. Ask Him (Matthew 6:9-13, Matthew 11:28, 1 John 1:9)! Managing God's Money does not represent financial companies, we do not work with or recommend financial advisors. At our seminars and elsewhere, we do not sell, or endorse finance companies' products or services. We charge no fees to present seminars, but we require commitment from leadership. Since 2000, regularly, Michel offered Managing God's Money Bible-based seminars and workshops in Canada and internationally. And from October 2001 to June 2006, he partnered with Focus on the Family, Canada to present specific Bible-based Managing God's Money and Managing God's Time seminars throughout Canada. With the release of the 7-Branches of God's Money Bible-based seminar on 2-DVDs and 6-CDs, and the compatible Managing God's Money: 7 Branches Workbook, he reduced regularly scheduled seminar presentations. Recently, we have been presenting seminars dealing with strategies to cope in the post financial crisis period. We continue to respond to special requests to design targeted Bible-based seminars to various groups. Below are details of most frequently requested seminars. 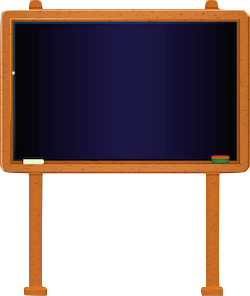 Here is a file with guidelines to host a seminar. Feel free to contact us if you wish Michel to speak at your church or other function. This seminar highlights what it means to grip time and money? Why do we have difficulty managing priorities? With money matters? We will show how to work joyfully and effectively with "positive stress" in available time. As well, we will show how to built and use a budget, to work with what we have, and how to plug leaks in our finances. In essence, we will look at "gripping" time and money for His glory: how to get the grip, how to keep the grip. Each person should leave each session hopeful and with a new outlook and an easy to use tool kit. Seminars start at 9:00 AM and end at 4:30 PM. Built on a biblical foundation, this Bible-based seminar conveys appropriate attitudes and provide key principles, essentials tools and techniques needed to live a debt free lifestyle. Geared to men and women to be married and newly weds, this three-hour seminar highlights challenges couples will face and strategies to overcome them. 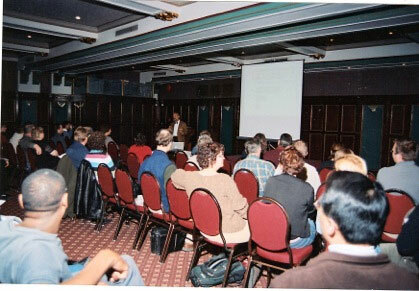 We have developed and presented several other seminars. As well, we are happy to custom fit workshops and seminars to individual circumstances. If you wish Michel to speak at your church or other group, present a seminar, or train some of your leaders to lead small group Managing God's Money seminars, please contact us. The 7-Branches of Managing God's Money Seminar is the filming of a live seminar; real time and unedited.